When Used, All Pokemon Cant Attack Next Turn. The Pokemon Cant Hear For Four Hours. 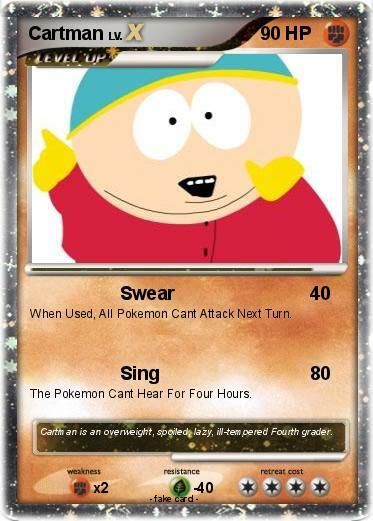 Comments : Cartman is an overweight, spoiled, lazy, ill-tempered Fourth grader.